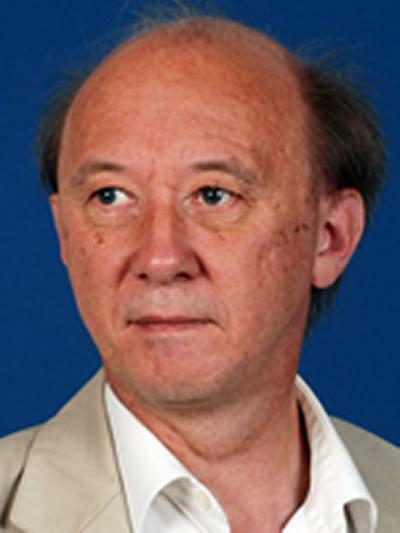 Professor Ian Talbot is a Professor of Modern British History at the University of Southampton. I have recently published, 'A History of Modern South Asia' (Yale University Press) and a co-authored study, 'Colonial Lahore: A History of the City and Beyond.' The latter work follows my long term interest in the history of the Punjab and the Partition of the region following the emergence of Pakistan. It builds on earlier publications such as 'The Partition of India' (co-authored with Gurharpal Singh) and 'Divided Cities: Partition and its Aftermath in Lahore and Amritsar' which was published in 2006 with Oxford University Press. This study was funded by a two year Leverhulme Major Research Fellowship which was held in conjunction with a Visiting Fellowship in History at Balliol College, Oxford during 2003-4. In addition to my work on the 1947 Partition, I am interested in Pakistan’s post-independence political history. I have published numerous articles on this subject. My main contribution is the major text entitled, Pakistan: A Modern History. This was published in 1999 by Hurst, reissued in an expanded form in 2005 and has now entered its third edition in 2008. I am currently working on a history of the UK High Commission in Pakistan. This will trace the diplomatic mission's development from 1947-2008. Talbot, I. (2010). Locality and partition: A comparative study of Lahore and Amritsar. The IUP Journal of History and Culture, 4(3), 31-46. Talbot, I. (2009). Pakistan: prospects for stability and democratic consolidation. Istituto Per Gli Studi Di Politica Internatiozionale, 157, 1-8. Talbot, I. (2008). Pakistan in 2007-8: portents of crisis, hopes of stability. Quaderni di Realzioni Internazionali, 7, 63-77. Talbot, I. (2002). Mullahs, Beards and Majors: the changing face of the Pakistan Army. The West Bengal Political Science Review, 5(1&2), 1-18. Talbot, I. (1998). From Pakistan to Punjabistan? Region, state and nation building. International Journal of Punjab Studies, 5(2), 179-193. Talbot, I. (1997). Paradise lost? Khizr Tiwana and the 1947 partition of the Punjab. Asia Pacific Magazine, 8, 39-43. Talbot, I. (1996). Back to the future? The Punjab Unionist model of consociational democracy for contemporary India and Pakistan. International Journal of Punjab Studies, 3(1), 65-75. Talbot, I. (1984). Jinnah, Maker of Pakistan. History Today, 34, 5-11. Long, R. D., & Talbot, I. (Eds.) (2018). India and World War I: a centennial assessment. (1st ed.) (Routledge Studies in South Asian History). Abingdon: Routledge. Talbot, I. (2016). A history of modern South Asia: politics, states, diasporas. London, GB: Yale University Press. Talbot, I., & Kamran, T. (2016). Colonial Lahore: A History of the City and Beyond. (1st ed.) London: Hurst. Talbot, I. (2015). Pakistan a new history: revised and updated. London, GB: Hurst. Talbot, I. (Ed.) (2013). The independence of India and Pakistan: new approaches and reflections. Oxford, GB: Oxford University Press. Talbot, I. (2012). Pakistan: a new history. London, United Kingdom: Hurst. Talbot, I. (2009). Pakistan: a modern history. London, GB: Hurst. Talbot, I. (2009). Pakistan: a modern history (2nd revised edition). London, GB: Hurst. Talbot, I., & Singh, G. (2009). The partition of India. (New Approaches to Asian History). Cambridge, UK: Cambridge University Press. Talbot, I., & Tatla, D. S. (Eds.) (2007). Amritsar: voices between India and Pakistan. Oxford, GB: Seagull Books. Talbot, I. (Ed.) (2007). The deadly embrace: religion, violence and politics in India and Pakistan 1947-2002. (The Subcontinent Divided: A New Beginning). Karachi, Pakistan: Oxford University Press. Talbot, I. (2006). Divided Cities: Partition and its Aftermath in Lahore and Amritsar 1947-1957. Oxford, UK: Oxford University Press. Talbot, I., & Tatla, D. S. (Eds.) (2006). Epicentre of violence: Partition voices and memories from Amritsar. Delhi, IN: Permanent Black. Talbot, I., & Thandi, S. (Eds.) (2004). People on the move: Punjabi colonial and post-colonial migration. Oxford, UK, Karachi, Pakistan: Oxford University Press. Talbot, I. (2002). Khizr Tiwana, the Unionist Party and the Partition of India. Karachi, PK: Oxford University Press. Talbot, I. (2000). India and Pakistan. London, GB: Arnold. Talbot, I., & Singh, G. (Eds.) (1999). Partition and region: Bengal, Punjab and the Partition of the Subcontinent. Karachi, PK: Oxford University Press. Talbot, I. (1998). Pakistan: a modern history. London, GB: St. Martin's Press. Talbot, I. (1996). Freedom’s cry: the popular dimension in the Pakistan Movement and Partition experience in North West India. Karachi, PK: Oxford University Press. Talbot, I. (1996). Khizr Tiwana, the Punjab Unionist Party and the partition of India. London, GB: Curzon. Singh, G., & Talbot, I. (Eds.) (1996). Punjabi identity: continuity and change. New Delhi, IN: Manohar. Talbot, I. (1988). Provincial politics and the Pakistan movement: the growth of the Muslim League in North-West and North-East India 1937-47. Karachi, PK: Oxford University Press. Talbot, I. (1988). Punjab and the Raj 1849-1947. New Delhi, IN: Manohar. Talbot, I. (2016). Epilogue. In I. Talbot, & T. Kamran (Eds. ), Colonial Lahore: A History of the City and Beyond (1st ed., pp. 169-179). London: Hurst. Talbot, I. (2016). Introduction. In I. Talbot, & T. Kamran (Eds. ), Colonial Lahore: A History of the City and Beyond (1st ed., pp. 1-13). London: Hurst. Talbot, I. (2016). Martyrs, migrants and militants: Lahores's transnational revolutionary networks. In I. Talbot, & T. Kamran (Eds. ), Colonial Lahore: A History of the City and Beyond (1st ed., pp. 145-169). London: Hurst. Talbot, I. (2016). Travellers, tourists and texts. In I. Talbot, & T. Kamran (Eds. ), Colonial Lahore: A History of the City and Beyond (1st ed., pp. 65-103;). London: Hurst. Talbot, I. (2015). Introduction: themes, theories and topics in the history of religion, violence and political mobilization in Pakistan. In R. D. Long, Y. Samad, G. Singh, & I. Talbot (Eds. ), State and Nation-Building in Pakistan: Beyond Islam and Security (pp. 1-13). London, GB: Routledge. Talbot, I. (2015). The democratic phase. In R. Long (Ed. ), A History of Pakistan (pp. 454-485). Oxford, GB: Oxford University Press. Talbot, I. (2015). Themes, theories, and topics in the history of religion, violence and political mobilization in Pakistan. In R. Long, Y. Samad, G. Singh, & I. Talbot (Eds. ), State and Nation Building in Pakistan: Beyond Islam and Security (pp. 1-13). Abingdon, GB: Routledge. Talbot, I. (2013). The August 1947 violence in Sheikhupura City. In I. Talbot (Ed. ), The Independence of India and Pakistan: New Approaches and Reflections (pp. 90-120). Oxford, GB: Oxford University Press. Talbot, I. (2013). The pre-history of a Viceroyalty? Lord Mountbatten and South East Asia Command. In I. Talbot (Ed. ), The Independence of India and Pakistan: New Approaches and Reflections (pp. 164-186). Oxford, GB: Oxford University Press. Talbot, I. (2010). India and Pakistan. In P. R. Brass (Ed. ), Routledge Handbook of South Asian Politics: India, Pakistan, Bangladesh, Sri Lanka, and Nepal (pp. 25-40). London, GB: Routledge. Talbot, I. A. (2009). The 1947 partition of India and migration: a comparative study of Punjab and Bengal. In R. Bessel, & C. B. Haake (Eds. ), Removing Peoples: Forced Removal in the Modern World (pp. 321-349). Oxford, UK: Oxford University Press. Talbot, I. A. (2008). The 1947 partition of India. In D. Stone (Ed. ), The Historiography of Genocide (pp. 420-438). Basingstoke, UK: Palgrave Macmillan. Talbot, I. (2007). Afghanistan: making of a transnational jihad. In Y. Samad, & K. Sen (Eds. ), Islam in the European Union: Transnationalism, Youth and the War on Terror (pp. 100-108). Karachi, PK: Oxford University Press. Talbot, I. (2006). The 1947 violence and the migration of Muslims from Amritsar to Lahore. In Sustainable Development Policy Institute (Ed. ), Troubled Times: Sustainable Development and Governance in an Age of Extremes (pp. 361-374). Islamabad, PK: SDPI/SAMA. Talbot, I. (2006). The 1947 violence in the Punjab. In I. Talbot (Ed. ), The Deadly Embrace. Religion, Violence and Politics in India and Pakistan, 1947-2002 (pp. 1-15). (The Subcontinent Divided: A New Beginning). Karachi, Pakistan: Oxford University Press. Talbot, I. (2005). Understanding religious violence in contemporary Pakistan. In R. Kaur (Ed. ), Religion, Violence and Political Mobilisation in South Asia (pp. 145-165). New Delhi, IN: SAGE. Talbot, I. (2004). Violence, migration and resettlement: the case of Amritsar. In I. Talbot, & S. Thandi (Eds. ), People on the Move: Punjabi Colonial and Post-Colonial Migration (pp. 78-95). Oxford, UK, Karachi, Pakistan: Oxford University Press. Talbot, I. (2003). Back to the future? Pakistan, history and nation building. In C. Kennedy, K. McNeil, C. Ernst, & D. Gilmartin (Eds. ), Pakistan at the Millennium (pp. 65-95). Karachi, PK: Oxford University Press. Talbot, I. (2002). Does the army shape Pakistan’s foreign policy? In C. Jaffrelot (Ed. ), Pakistan: Nationalism without a Nation? (pp. 311-337). New Delhi, IN: Manohar. Talbot, I. (2002). The Punjabization of Pakistan: myth or reality? In C. Jaffrelot (Ed. ), Pakistan: Nationalism without a Nation? (pp. 51-63). New Delhi, IN: Manohar. Talbot, I. A. (Accepted/In press). The end of European colonial empires and refugees. In P. Panyani, & P. Virdee (Eds. ), Refugees and the End of Empire London, UK: Routledge. Talbot, I. (2011). Pakistan after the Floods: prospects for stability and democratic consolidation. (pp. 1-20). (ISAS Working Paper; Vol. 122). Singapore, SG: Institute of South Asian Studies.